To find a collection site near you for DEA Drug Take Back Day, click here. Find out how you can report a crime to the Greene County Sheriff's Office tip line by clicking here. If you would like to sign up for the Dye Hard 5K, click here. To learn more about the Raider Food Pantry at Wright State, click here. Find out how to register for Xenia PD's free seminar on firearm and self-defense laws by clicking here. To find a list of selling Handy Hats created by a UD student, click here. For more information on April 13's Adopt-A-Park cleanup event, click here. To learn more about a deadly, drug-resistant fungus spreading around, click here. For more information about The Foodbank, click here. If you would like to volunteer with the Red Cross to help install free smoke alarms, click here. To learn more about Occupational Safety and Health Administration (OSHA) inspections, click here. To get involved with Dayton's city-wide cleanup efforts, click here. Find out how you can sponsor a Safety Pack for Northwestern Elementary School by clicking here. If you would like to participate in West Carrollton's resident survey, click here. For more information on how to donate to the #RachelStrong campaign, go here. To donate to SICSA's Clean Cuddle Campaign, click here. To find tickets for the Dayton Dragons 20th Season Celebration Game, click here. You can find ticket information for UD's Celebration of the Arts by clicking here. Find out more about the ResultsOHIO initiative announced by Treasurer Robert Sprague by clicking here. You can see a list of roads involved in the City of Dayton's 2019 Street Resurfacing Program by clicking here. Learn more about how students can compete to create Ohio's new 'I Voted' sticker by clicking here. To donate to victims of the Nebraska flooding, click here. Find out how to reach the National Suicide Prevention Lifeline by clicking here. To support United Rehabilitation Services outside of the March 27th "Day of Giving," click here. If you have questions or concerns about the Good Samaritan demolition process, click here. Learn how you can help the Washington Township Police Department raise enough money to launch a new K-9 initiative by clicking here. To help fund a new mobile food truck for With God's Grace, click here. You can learn more about signing up for lifeguard training in Washinton Township by clicking here. Find ticket information for The Big Hoopla by clicking here. To see a list of the Honda vehicles recalled over airbag concerns, click here. To start a garden or buy something off Katie's Krop's wish list, click here. You can donate to those affected by Alabama's devastating tornadoes by clicking here. If you would like to read Montgomery County's 2019 Drinking Water Quality Report, click here. To find the details about the Fletcher UMC 'Hope Closet' prom shop, click here. You can find a list of fish fries to check out during the Lenten season by clicking here. To see a list of events in the Miami Valley on International Women's Day, click here. To find out how you can have new, state-of-the-art smoke alarms installed in your home for free by the Red Cross, click here. If you'd like to see downtown Troy's new parking diagram, click here. See a list of roads involved in Washington Township's Street Improvement Program by clicking here. For more information on prizes offered during this year's Air Force Marathon, click here. To learn more about the recall issued for certain birth control packets, click here. If you need to contact a credit reporting agency to freeze your credit score in case of a scam, click here to find the necessary information. For more information on Springfield's 2019 Neighborhood Street Program, click here. To see the full performance of Mechanicsburg High School wrestler's performance of the National Anthem, click here. To find out how to reach the YWCA hotline, click here. You can find applications for summer job openings in West Carrollton by clicking here. For resources about mental health and talking to your child about online safety, click here. For more information on SICSA's Trap-Neuter-Return program, click here. To read the full results of the Justice Committee's final report on the Montgomery County Jail, click here. You can find more information on the Riverside Police Department's new Virtual Block Watch program here. If you come across bad gasoline in Montgomery County, report it here. Learn about volunteer opportunities and ways to support the Muscular Dystrophy Association here. To read the full report detailing why Gov. DeWine is in favor of the gas tax increase, click here. See an interactive map showing all streets in Dayton where Vectren gas pipeline upgrades will take place in 2019 by clicking here. You can donate to the University of Dayton RE-volv chapter's efforts to increase East End Community Services' solar array by clicking here. For more information on tax services offered by Wright-Patterson Air Force Base, click here. Learn more about Miami County Public Health's Kids for Cribs program by clicking here. Find out how to keep yourself safe during a boil advisory by clicking here. Learn more about the City of Vandalia's Hyper-Reach program by clicking here. Buy your tickets for the Dayton Dragons 20th Season Celebration Game here. Find out what to do if you believe you are the victim of a romance scam by clicking here. You can find more information about Dayton's first Cupid's Undie Run by clicking here. Find out how you can send Valentine's Day cards to patients at Dayton Children's Hospital by clicking here. To report a pothole or other damage on an ODOT maintained roadway, click here. You can find details about a public forum for North Main Street improvements here. Learn more about Dayton Delivers, the city of Dayton's customer service program, here. Read more about the terms of Wright State's new faculty union agreement by clicking here. To read the Animal Resource Center's latest progress report, click here. Find out what supplies you should put inside your Emergency Preparedness Kit by clicking here. To report a pothole or damage on the road to ODOT click here. Learn more about job opportunities for high school students at Premier Health by clicking here. For more information on Premier Health's mobile mammography schedule, click here. Find more information about a recall from Fisher-Price on Power Wheels Barbie Dream Campers by clicking here. To learn more about the new Operation Home Shield program offered by the Centerville Police Department, click here. If you would like to help with a Maine sixth-grade class project to 'Erase the Holocaust,' click here. Find out how to get in contact with Montgomery County Job and Family Services by clicking here. For more information on Mercy Health's mobile mammography schedule, click here. For a list of drop off locations for the Dayton winter clothes drive, click here. Learn how you can register for the Dragons 5K on July 20, click here. To learn more about Miami Valley Housing Opportunities, click here. You can find a list of Dayton-area businesses accepting winter coat donations by clicking here. Find out what items St. Vincent de Paul is in urgent need of by clicking here. For a list of changes to filing taxes in Ohio this year click here. To see a list of warming centers open across the Miami Valley, click here. Find the 24/7 Alzheimer's Association help line number by clicking here. Learn more about the Give Kids A Smile event by clicking here. Tickets for Dayton Contemporary Dance Company's 2019 International Blacks in Dance conference can be purchased here. To register for SICSA's Animal Adventure Camp, click here. Find out more information about a recall of Gold Medal flour by clicking here. If you run into issues with storm drainage and catch basins, find the emergency number for the Dayton Water Department by clicking here. To see a map of current outages reported to DP&L, click here. Learn how you can prepare for power outages when winter weather hits by clicking here. Miami Valley homeowners can request a free or reduced-cost radon test kit by clicking here. To learn more about the Flyin' to the Hoop schedule, click here. Donations can be made to Interfaith Hospitality Network of Springfield by clicking here. If you would like to donate to the Dayton Foodbank, click here. To report a suspected water main break in Springfield, call the number in this story. If you would like to read Senator Portman's bill designed to end government shutdowns, click here. Learn more about a special loan offer for furloughed government employees in the Miami Valley by clicking here. For sledding safety tips from Dayton Children's Hospital, click here. To watch Governor DeWine's full inauguration, click here. Learn more about how you can audition to be a national anthem performer for the 2019 Dayton Dragons season by clicking here. To read the full progress report released by the Animal Resource Center, click here. If you would like to donate to the Darke County Fair's fundraising efforts, find the appropriate contact information by clicking here. For a list of IRS-approved sites where you can get help with your taxes, click here. Read the official Unfair Labor Practice charge filed by the AAUP-WSU against Wright State University by clicking here. To read the full Ohio report on lead found in school drinking water, click here. For more information about The Montgomery County Solid Waste District's 2019 Recycling Incentive Grant for District Members, click here. Starting Jan. 9, you can see potential proposals for the future of the old Good Samaritan site by clicking here. Read AAUP-WSU's full strike notice and see President Schrader's statement by clicking here. Read the proposal that the Wright State Board of Trustees says is their "last, best offer" amid contract negotiations with the AAUP-WSU by clicking here. See a list of Ford vehicles recalled for faulty inflators by clicking here. To find out more about the Community Blood Center and make an appointment to give blood, click here. Find out how you can nominate an educator for Five Rivers MetroParks' OUTstanding Teacher Award by clicking here. Learn more about Gov.-elect Mike DeWine's Cabinet nominees by clicking here. To read the letter Senator Brown sent to President Trump urging him to undo a pay freeze for civilian federal employees, click here. Find out how you can take advantage of Montgomery County's ArriveSafe program by clicking here. Find out more about Dayton Metro Library's "Quit Smoking in the New Year" meeting by clicking here. For more information on Kroger's shrimp recall, click here. Learn how to detect counterfeit money by clicking here. To learn how to donate to those displaced from the Koneta Hotel fire, click here. Learn how you can donate to St. Vincent de Paul by clicking here. You can learn more about the ongoing Step Up to Quality rating and improvement system for child care centers by clicking here. Find out more about pension changes coming for first responders by clicking here. To vote on what you think the Columbus Zoo's new baby elephant should be named, click here. You can read the full letter Senators Rob Portman and Sherrod Brown sent to GM's CEO by clicking here. To see details of a levy/bond issue proposal from the Oakwood Board of Education, click here. Report a scam to your state charity regulator by clicking here. To report a scam with the Federal Trade Commission, click here. If you would like to mail a birthday card to a 96-year-old veteran in California, click here. Find out what dog food brands have been recalled for excessive vitamin D by clicking here. To see local drop off locations for Toys For Tots, click here. If you would like to learn more about World AIDS Day and community HIV screening events, click here. To learn how you can donate flowers in memory of George H.W. Bush and sign a registry book that will be sent to his family, click here. If you missed WDTN's telethon Sunday to benefit URS, you can still donate by clicking here. If you would like to donate to the Blankie Buddies fundraiser that will go toward helping children at Dayton Children's Hospital, click here. To see a list of unique places to check out Christmas lights this season, click here. Find out more about the ice rink at RiverScape MetroPark by clicking here. For more information on Dayton Ballet's performance of 'The Nutcracker,' click here. To see a list of events for the launch party and grand opening of the PNC Arts Annex in Dayton, click here. Learn how you can apply to fill the vacant Huber Heights City Council Ward 2 seat by clicking here. To support the Cystic Fibrosis Foundation, click here. For more information on how to vote foe Clifton Mill in USA Today's "Best Holiday Lights" contest, go here. Find out important information regarding the 46th annual Grande Illumination and Dayton Children's Parade by clicking here. To learn more about a free ride service offered this weekend by the Montgomery County Prosecutor's Office, click here. Need some extra cash for the holidays? See a list of seasonal jobs that are available with UPS by clicking here. To learn more about a Thanksgiving meal hosted by Sinclair for police officers on duty, click here. For more information about Oakwood schools upcoming renovation plans, click here. If you would like to learn more about Creek Safe, Inc., a non-profit that wants to provide barricade door locks for all doors at Beavercreek elementary schools, click here. To see ticket information for Carillon Park's 'Ringing in the Holidays' event, click here. 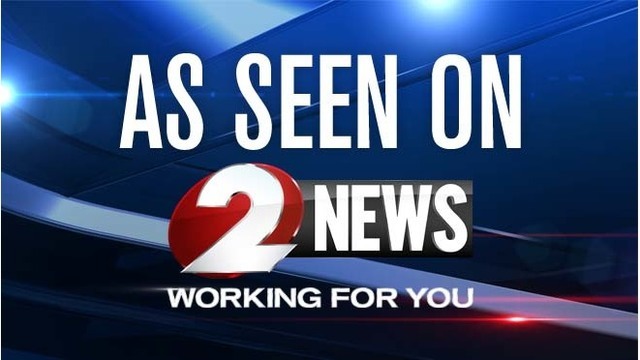 For more on counterfeit money confiscated by Sidney and Piqua police, as well as a list of affected serial numbers, click here. If you would like to voice your opinion about Vectren's proposed rate increase, click here. Learn more about DP&L's Utility Scam Awareness Day campaign by clicking here. To learn more about a change in Miami Township's Sport Equipment Nuisance Resolution, click here. Learn more about classes offered at the Dayton VA Medical Center Wednesday to help veterans enroll for healthcare by clicking here. Find out how you can help support the Dayton area Red Cross ahead of their mission to deliver supplies to victims of the California wildfires by clicking here. Want to become an organ donor? Click here to learn more. For more information about items for sale that are crafted from the Shawshank Oak Tree, click here. You can learn more about Montgomery County's Veteran ID card program by clicking here. If you are ever unsure if a recall notice is fact or fiction, you can find a free Recall Look-up Tool by clicking here. S & D Smith Dairy has recalled some of their chocolate milk products sold at select Eaton and Sidney locations. To learn more, click here. Developers for the Fire Blocks District are looking to hire skilled tradesman. For more information, click here. To learn how you can apply for food assistance through the Salvation Army, click here. To learn more about the National Veterans Memorial and Museum, click here. If you would like to petition for a new medical condition to be approved for medical marijuana, click here. To learn more about the Walk for Change and intergenerational justice, click here. You can learn more about TIFF, a website that links people's contact information with their driver's license by clicking here. You can learn more about new Ohio traffic laws that are now in effect by clicking here. To see a list of dates you can catch Mercy Health's Mobile Mammography van, click here. For ticket information for the National Veterans Memorial and Museum in Columbus, click here. Learn where you can take your unwanted prescriptions drugs during Kettering's National Drug Take Back by clicking here. To find out how you can vote for Storm Team 2 Meteorologist Jamie Jarosik to help her win Dancing with the Kettering Stars, and raise money for charity, click here. To find out where you can take your unwanted prescription drugs on National Prescription Drug Take Back Day in Dayton, click here. If you would like to donate money to the family of 2-year-old Brody Allen, a Cincinnati boy who recently celebrated an early Christmas before he died of brain cancer, click here. For more information about the Greene County Veterans Resource Fair, click here. To see a list of 2018's average ACT scores by state, click here. Find out how you can become a driver for the Vandalia Van Tran program by clicking here. For more information on 2019's Flyin' to the Hoop schedule and ticket information, click here. Find out how to schedule an appointment for an oil change with Ponitz career center students to help raise money in support of breast cancer awareness by clicking here. Learn how you can get an oil change from DPS students to benefit breast cancer research by clicking here. You can cast your vote for your favorite Rock and Roll Hall of Fame nominee by clicking here. Find more information about the Warrior Run in Cincinnati by clicking here. Take a look at this photo. Police in Springfield are asking for help finding a missing woman. You can learn about Bellbrook's annual Drive-Thru Child Passenger Safety Seat Inspection by clicking here. If you still need to register to vote, update your address, or need information on absentee voting, click here. For more information about the CARE House Hoedown on October 19, click here. You can get a closer look at the vision for the former Montgomery County Fairgrounds here. If you would like to support the Family Violence Prevention Center of Greene County, click here. To learn more about Miami Valley Crime Stoppers, click here. For more information about flu shots being offered by Wright State, click here. You can find out how to listen the 'Warrior Path' podcast from Huber Heights City Schools here. Shoes 4 the Shoeless is collecting supplies to deliver to residents affected by Florence. Click here to find a list of items needed. Learn more about how you can get a flu shot from Miami County Public Health by clicking here. More Ohio hunting information can be found here. For more information on Ohio EPA's Encouraging Environmental Excellence (E3) Program, click here. To learn more about a recall issued for nearly 133 thousand pounds of ground beef, click here. For a list of upcoming Q&A sessions regarding the Beavercreek City Schools levy, click here. If you would like to learn more or donate to the community gardens coming to Springfield, click here. Find out how you can help contribute to "The Xenia Boys" cause by clicking here. To help support the family of Jayren Graham, who was murdered in the parking lot of Double Tree Suites on September 13, click here. If you would like to check out the "Cincy Strong" t-shirts, click here. Find out how to donate to Kevin's IV Pole by clicking here. To see the full list of toys being considered for the 2018 National Toy Hall of Fame, click here. To find out where Sgt. Pushup will be in the Miami Valley or to invite him to your business, you can find him on Facebook, Instagram, or by visiting his website. See how you can donate to the Dayton Foodbank by clicking here. To find out how you can help with next year's first responder appreciation event on September 11, get in contact with Fox Motors Incorporated. Find 24-hour Suicide Prevention/Mental Health & Addiction Crisis Service resources by visiting ADAMHS' website. Looking for information about the dedication and musical tribute for the 'Land of Funk?' Click here. Find out more about the 15th annual Rubber Duck Regatta by clicking here. To learn more about the Boonshoft Museum Educator Open House, click here. To learn more about the fundraiser for an Oregon District employee's mother on August 30, click here. Are you interested in donating, volunteering or adopting from SICSA? Click here. For more information about Dayton's Tour de Gem Cycling Classic, click here. To follow along with the Walk of America journey and support its mission, click here. To learn about volunteer opportunities at donate to Hurricane Lane relief at the Dayton Area Red Cross, click here. For a look at the Tour De Donut route maps, click here. To nominate your tree for the Dayton Holiday Festival, click here. To learn more about how you can support the Air Force Marathon, click here. You can help Crayons for Classrooms win a $25,000 grant by clicking here. For a list of upcoming Coffee for Veterans dates, click here. To submit your ideas for what should be next at the site of the former Good Samaritan Hospital, click here. If you would like to register or learn more information about the Buckeye Donut Dash, click here. For more information on the BrickUniverse LEGO Convention and to purchase tickets, click here. To learn how you can get involved with the Dayton Foodbank, click here. Learn more about how you can volunteer with the Homefull renovation project by clicking here. If you would like to help the Humane Society of Greater Dayton by being a temporary foster parent to newborn kittens, visit their website or call (937) 262- 5937. Households that still need to make an appointment for Summer Crisis Relief can do so by clicking here before August 31. If you received a phone call from someone claiming to be from the IRS saying you owe taxes, when you know you do not, go to this website to report the call. It may be part of a scam. For more information on how to apply for SNAP or to see if you are eligible, click here. Are you interested in attending the 2018 Dayton Germanfest Picnic? Find the details here. Salar Restaurant and Lounge is hiring new employees before they re-open in September. Fill out an application here. Find out what to expect at Levitt Pavilion in downtown Dayton by clicking here. Find out what there is to see and do at the Miami County Fair by clicking here. For a list of communities hosting National Night Out events, click here. For a list of locations participating in the H2O for Heros event, click here. Find out how you can have fire alarms installed for free by clicking here. For a list of salads and wraps recalled nationwide by the US Department of Agriculture, click here. To learn more about a new organic sports drink geared toward young athletes, click here. Find out what you need to know about Ohio's Tax-Free Weekend by clicking here. If you would like to submit a comment on the incoming roundabout at the intersection of Mad River Road and West Alex-Bell Road, find the comment forms here. For more information on how you can receive an Amazon gift card by donating blood before August 30, click here. To watch the full address Vice President Mike Pence gave when he stopped in Ohio to campaign for Troy Balderson, click here. Find out how to contribute to the With God's Grace school supply drive or receive school supplies here. To learn more about the Green County Fair and see a list of events, click here. For more information on JoyRide and how you can donate, click here. Would you like to see what's planned for this year's Celtic Fest? Check out schedules, maps and more HERE. If you'd like to learn more about how you can volunteer with the Salvation Army, click here. If you'd like to follow along with the Fuller Center Bike Adventure group or learn more about the Clark County Fuller Center, click here. For information on how to keep your kids safe from online predators, click here. To donate to the fundraising campaign for Niguel Hamilton click here. To see how Build-a-Bear is attempting to bounce back from "Pay Your Age Day" chaos, click here. Read the story about the coupon Kroger says is fake here. If you would like to volunteer to help check river quality go here. For more information about the Shawnee Park Playground project, click here. To learn more about the frequency change for WBDT-TV Dayton's CW Channel 26 click here. Watch the dash camera footage released by Kettering Police by clicking here. For schedules and locations of YMCA swimming lessons in Greater Dayton, click here. To check your voter registration, click here. To learn how to support music education in Dayton Public Schools and find a drop-off location for your musical instrument, click here. You can learn more about Camp Invention and find a camp near you here. Are you looking for those nifty bumper stickers to remind people to leave room for cyclists? You can find those bumpers stickers by clicking here. If you're interested in adopting from National Great Pyrenees Rescue, you can start the process by going to their website. You can also see a list of all their adoptable dogs nationwide here. Click here if you would like to donate to Eva's kidney medical expenses. Click here if you would like to donate to Genae Taste's GoFundMe page. To schedule an appointment for free dental care for a veteran on June 9 you can call 1-844-277-3646. For more information on the Community Cat Program, call the Humane Society of Greater Dayton at 937-268-7387. For information about the RTA bus route changes during the Main Street Bridge construction, click here. Click here to read the story about new business It's Time 2 | You can also find more information about the organization here. Check out our latest I Love Dayton feature, and while you're there, fill out the form and tell us what you love about Dayton. Concerned about coyotes? Read more tips about what to do if you spot one in your neighborhood here. To sign up to visit the Gem City Catfe, click here. For more information about how to donate to the Christmas Toy Cottage, click here. If you're looking for information about the opioid addiction center in Huber Heights go here. For senior driving tips, click here. Read the full story about the funeral arrangements for the local football coach and high school graduate here. Read the full story about net neutrality here | To read a statement released last week by the FCC Chairman, click here. Find out how you can get a discounted pet adoption at ARC's Send Them Home Saturday event. Read the full story about Small Business Saturday in Xenia | For more information about Small Business Saturday, click here. For a list of toy safety tips, click here. Find out all of the holiday activities going on in the Miami Valley and surrounding cities here. Read the full story about how a program is helping businesses in the Miami Valley take action against workplace substance abuse | Click here for the application for the program. To donate to Brigid's Path, click here. Read the full story about The gift of power | To make a donation or learn more about the program, click here.